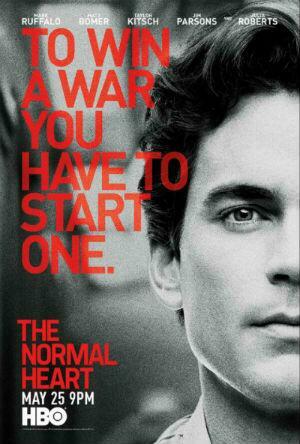 “The Normal Heart” is shattered by Bomer and all-star cast – BOBBY JAMES. Home Box Office (HBO) premiered Plan B Entertainment’s film adaptation of Larry Kramer’s 1985 off-Broadway play titled The Normal Heart. Set against the backdrop of the early to mid 1980s, The Normal Heart is a haunting and heartbreaking story about a generation of gay men (later women) and the emergence of HIV/AIDS in the United States. Anchored by Matt Bomer’s incredibly moving performance as “Felix Turner,” The Normal Heart is one of the most profound, poignant, and important movies and love stories of the last decade. In 1981, an unidentified disease begins to ravage New York City’s gay community. When his friends begin dying, Jewish-American writer Ned Weeks (Mark Ruffalo), becomes an outspoken activist who helps establish a support group for people either infected with or effected by “gay cancer.” Weeks, alongside his conflicted friend Bruce Niles (Taylor Kitsch) and Dr. Emma Brookner (Julia Roberts), a female physician and wheelchair-bound survivor of polio, works tirelessly, to both understand the new disease and to bring its existence to the forefront of the American political discussion. During this time, Weeks meets and falls in love with closeted New York Times reporter Felix Turner (Matt Bomer), beginning an overwhelming love story. 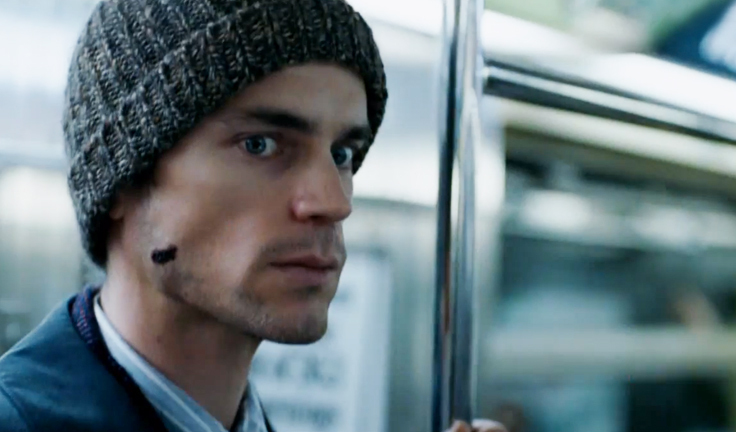 Felix Turner (Matt Bomer) in The Normal Heart. As “Felix Turner,” Bomer delivers an exceptional performance that I predict will survive as his most timeless and inspiring. It’s a side far removed from his dapper USA network series White Collar or his Ken-doll portrayal in Magic Mike. The trailer and publicity images show you Felix’s transformation, but Bomer’s abilities and physical transformation (he lost nearly 40 pounds for the role) leave you with a haunting sorrow upon full emotional impact. His intonation is incredible and the eye contact in one scene with Ned’s brother, Ben Weeks (Alfred Molina) is heartbreaking yet empowering. Empowering in the sense that through it all, his passion for life has survived. I’m proud to say I live in a time when stories like this are able to be told – and to be told well. Adapted for the screen by original author Larry Kramer, and directed by Ryan Murphy (GLEE, American Horror Story), The Normal Heart moves viewers through the motions of free, unadulterated 1980s gay life, love, fear and heartache. The characters and story feel authentic, and this documentation of these people’s (fictional) existence makes you question the choices our country, and its leaders, made when the AIDS epidemic began. Murphy’s hand rightfully paints a picture of a world where the US Government’s refusal to fund AIDS research, or to even acknowledge the disease’s existence, led to countless deaths and unnecessary transmissions. In Murphy and Kramer’s world, each of the characters have an emotional climax as the result of their frustrations with this disease and the government’s silence. To name a few, Ben Weeks is vociferous about the city and country’s silence, Emma Brookner is infuriated about the lack of research, understanding and funding, and notably, Tommy Boatwright (Jim Parsons) is saddened because of the all the potential that never will materialize because an entire generation is dying (Parsons delivers an affecting monologue). Then again, the tagline “to win a war, you have to start one,” is a call to action – so the lingering question isn’t really unstated after all. In the 1980s, the original play was timely and culturally significant – today, the movie is equally as relevant, as we struggle to define love as a nation. The imagery here will ignite a fire in some who will become agents, or voices rather, for change, beginning with this cast and crew. I could tell that this project meant a lot to those involved, it resonates well beyond its medium – and when that happens, then we are able to experience the true power of movies. This post has been updated. A previous version of this post stated that Matt Bomer was in USA’s “Suits.” The correction to “White Collar” has been made. Thanks @idebrat on twitter for the tip.